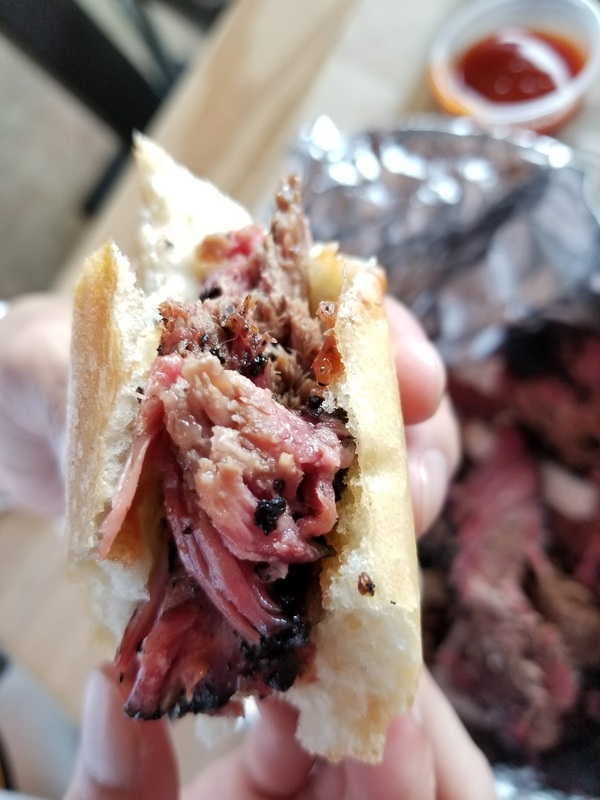 These Briskets Are So Tender and Soft @ LA Brisket - Costa Mesa - EAT WITH HOP! 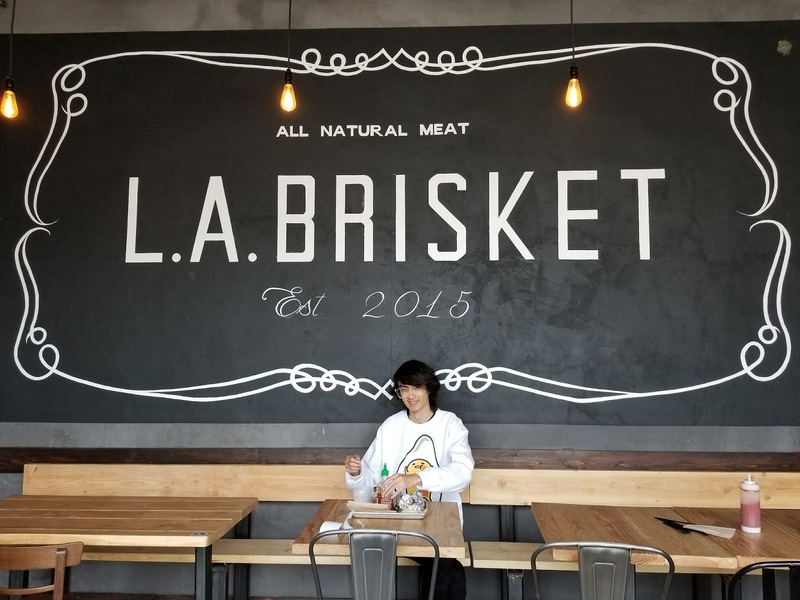 So on Halloween day this year, instead of trick-or-treating, Kevin and I went on a spontaneous trip to L.A. Brisket to eat! 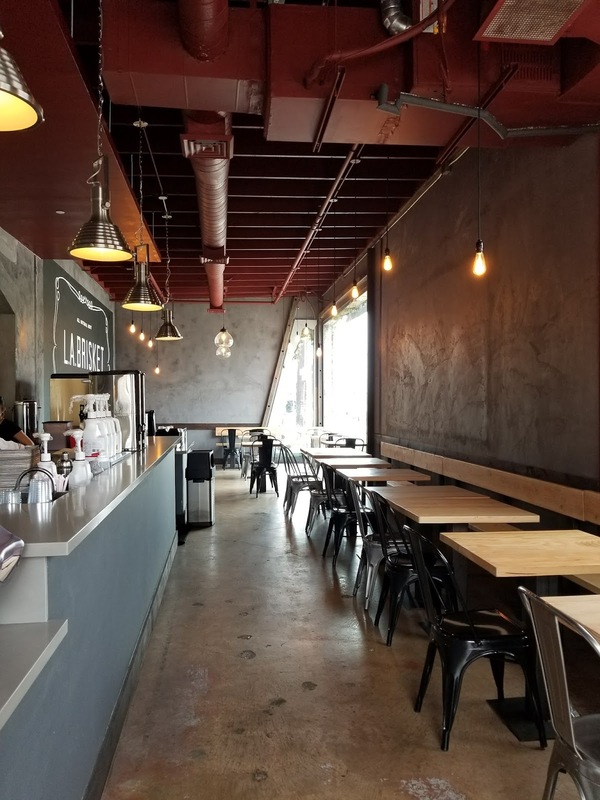 I passed by their Artesia location once and was intrigued by the name, so when I looked it up on Yelp, I was delighted to learn that there is a closer location in Costa Mesa at The Lab Anti Mall! I heard good things about this place so was excited to try it! Their menu is simple: just meat! But you can have it in a sandwich form on on top of fries. 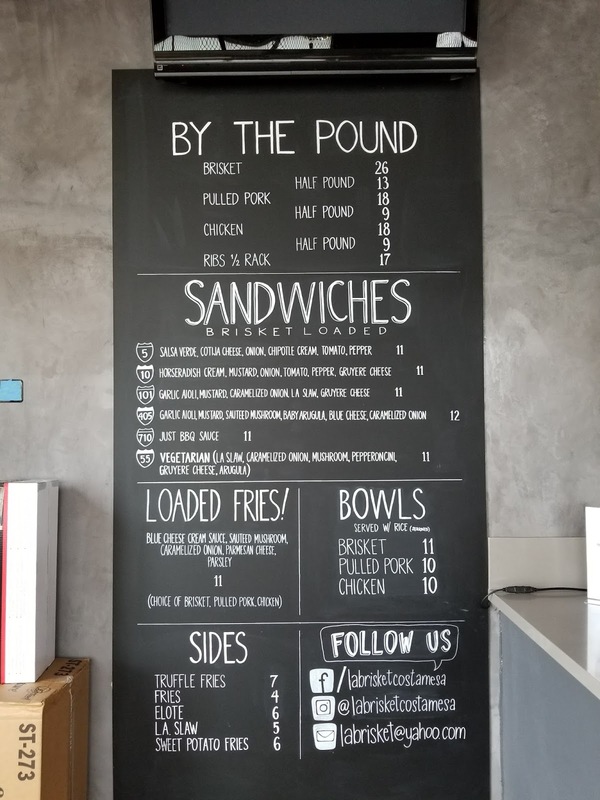 Here is the menu at L.A. Brisket! Prices are sorta on the higher end but that's because this is some meaty stuff! But we weren't trying to get full, so we just ordered the half size just to try the place out! 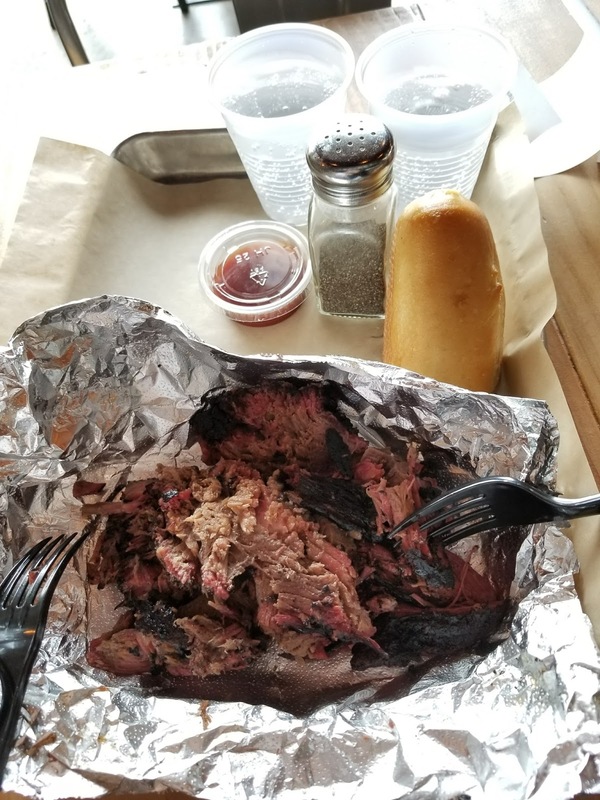 Of course we had to order the brisket... cuz come on... the name is L.A. Brisket! It was Halloween and the place was quite empty. Probably because most people were trick or treating... JK! By the way, the restaurant only cooks a certain amount of meat per day? According to the sign I saw posted on the door... So once it's sold out - it's sold out! So I just assumed that whatever we ordered only was meat. Had no idea there was a side! YAY! It isn't just meat! It came with yummy soft bread to munch on and to make mini sandwiches! So this is what the half size looks like for the brisket! We actually ate a piece before taking a pic so there is actually more than what is pictured. Even though we both shared, the brisket ended up filling me up! Kevin and I made mini sandwiches and dipped it with the bbq sauce. It honestly didn't need the sauce because somehow it was flavorful on its own from the fat (maybe?!?!). The entire thing was sooooo tender and soft and melted in my mouth. Like seriously, this is some good stuff and I totally recommend their brisket! 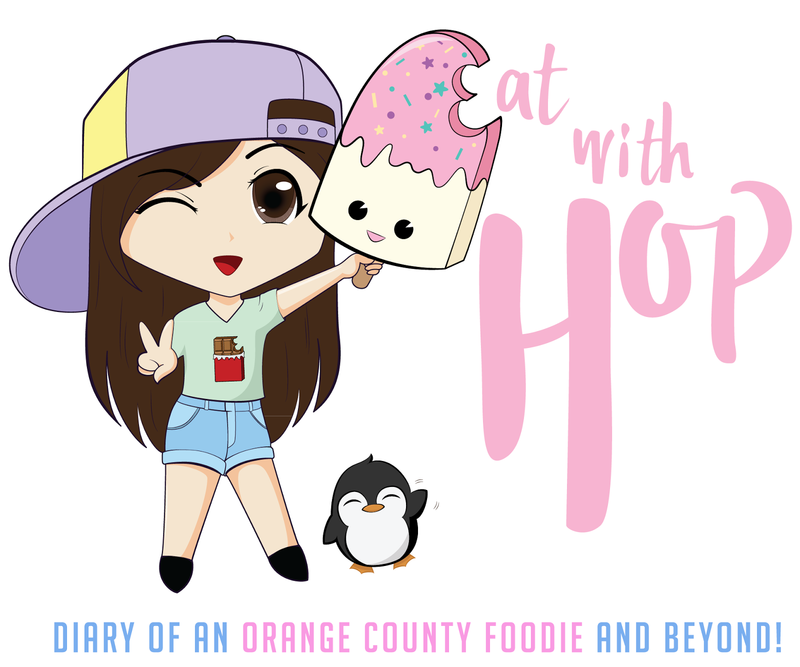 It's so good, that it reminded me of Smoking Ribs in Garden Grove (also a great place! pricey but worth). 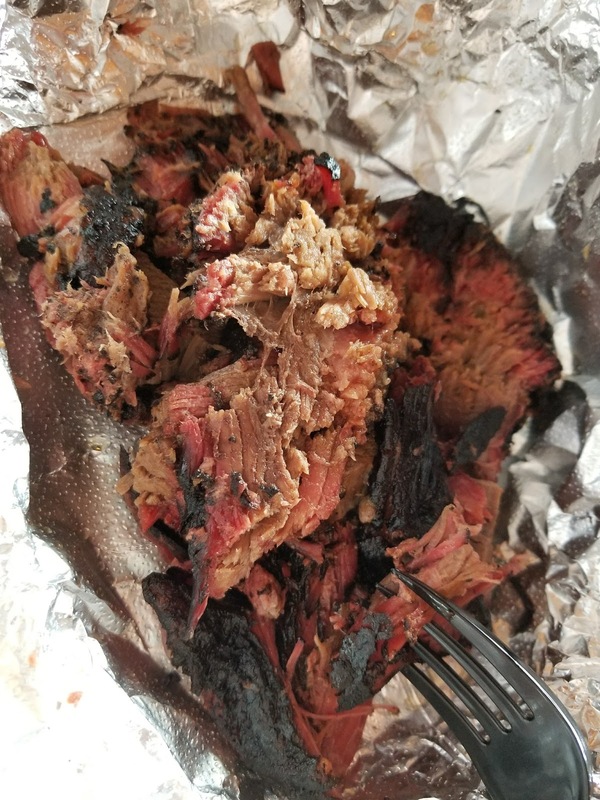 It was easy to tear the brisket because it was so soft. The flavor was savory and smokey yet a bit salty but delicious! YUM! If you're in the area, I recommend this spot!